When I got to seminary, I found out a lot of people think Paul didn’t all the letters attributed to him in the New Testament. Actually, it’s not just that some people don’t, but rather it’s the dominant position in non-conservative academia, and even many conservative scholars adopt it. The idea is that letters like Ephesians, Colossians, the Timothys, Titus, and 2 Thessalonians are later compositions, pseudepigraphal, either by an imposter, or a devoted disciple that claim Paul’s name and authority. Depending on how conservative you are, you might say that the earliest recipients would have, of course, known this, and so there really wasn’t fraud being committed, but rather this would have been seen as an acceptable instance of a very common practice. Or, you might just call it lying. While I can’t get into all of the details, one of the main arguments against their authenticity is the alleged difference in style and vocabulary. When you compare and contrast the undisputed letters to the others, you apparently find different vocabularies employed, special terminology missing or in use, sentence construction and so forth. I’ve never been very impressed with arguments like that. “Paul couldn’t have said this, because he never says this kind of thing, as far as we know.” But what if he just said it in the passage? Then it would be the kind of thing he would say. I find this to be especially problematic given the contextual nature of these letters. It strikes me as kind of like saying, C.S. Lewis couldn’t have written The Space Trilogy because he never talked about aliens in The Chronicles of Narnia and the former is written for adults and clearly the latter is for children. Or it’s like saying “Oh, Bob could never have talked about that with his girlfriend Gina. I know that because I know what he talks about with his mother.” Barring a demonstration of contradiction or of unacceptably different conceptual backgrounds, these arguments often-times are simply an elevated exercise in question-begging that don’t take seriously issue of the way contextual concerns dominate the theology of Paul’s letters and the topics he chooses to address. Now, you could easily chalk that up to a young, conservative student’s incredulity towards disturbing scholarship. Sometimes I’ve been tempted to. Imagine my delight, then, when I found out that N.T. Wright agrees with me! Arguments from style are clearly important in principle. But they are hard to make in practice. We have such a tiny sample of Paul’s writing, hardly an adequate database for definite conclusions about authorship. Those who have done computer analyses of Paul’s style come up with more ‘conservative’ results than we might have expected. In fact, if it’s stylistic differences we want, the most striking are, in my opinion, the radical differences between 1 and 2 Corinthians. The second letter to Corinth is much jerkier; its sentences are dense and convoluted, bending back on themselves, twisting to and fro with language about God, Jesus Christ, and Paul’s ministry. The organization of the material is much less crisp. There is a far greater difference between those two Corinthian letters that there is between Galatians and Romans on the one hand and Ephesians and Colossians on the other; yet nobody for that reason cast doubt on 2 Corinthians. As John A.T. Robinson pointed out from personal experience a generation ago, a busy church leader may well write in very different styles for different occasions and audiences. The same person can be working simultaneously on a large academic project with careful, ponderous sentences and a short, snappy talk for Sunday school. It has not be unknown for senior biblical scholars to write children’s fiction [in fn.135 …Among NT scholars who have written children’s fiction we might mention C.H. Dodd and R.J. Bauckham]. More directly to the point, it has recently been argued strikingly that Ephesians and Colossians show evidence of a deliberate ‘Asiatic’ style which Paul could easily have adopted for readers in Western Turkey. I regard the possibility of significant variation in Paul’s own style as much higher than the possibility that someone else, a companion or co-worker could achieve such a measure of similarity. Other historical examples of that genre do not encourage us to suppose they would have been so successful. So then, style matters, but it isn’t everything. If a NT scholar can write children’s lit, and someone as limited in range as me can write about epistemology and dating tips, then we ought to be wary about these sorts of judgments, when you’re dealing with a versatile thinker like Paul who’s doing ministry on multiple fronts across a series of decades. And that’s just one of the dozens of nuggets worth sharing out of Wright’s PFG. Appreciate this Derek. Truly, seminary can include some unsettling discussions and discoveries (eg. redaction criticism) that are also good b/c they force you to think through why those unsettling things are wrong (or right) for yourself instead of just parroting what your mom and dad or pastor said growing up. Glad you’re in the “Paul wrote what he said he wrote” conclusion. I believe this too and for many of the same reasons. Also, do keep up with the updates/nuggets from Wright’s book. I’m in Seminary myself right now and, thus, don’t get to choose what i read for the next four years, so hearing about it is very helpful and interesting to me. Will try, but it’s hard because there are so many to choose from. I think it’s a little bit deeper than that – or at least it can be. If I put all of his letters in the “uncontested” category some pretty impressive hermeneutical gymnastics need to be done in order to reconcile the rather different sentiments found about gender in Galatians vs. 1 Timothy. If we are all one in Christ to the point where there is no male or female how can the same author bring up Eve’s deception of Adam as grounds for keeping women silent, submissive and out of any sort of teaching role? Is it then within Paul’s character (and writing style) to make such an about-face on something this serious? How do we determine which sentiment is a controlling belief and which one is based on circumstance? I bring that up just to say that there are real issues in saying that Paul wrote everything that has his name on it and they aren’t as trivial as a personal distaste for patriarchy. Oh, to be sure, I get that it’s more complicated. Indeed, Wright’s comments are more complicated than my little aside could indicate. But then again, so are the alleged differences in ecclesiology from the undisputed letters to the prison letters and the pastorals, but I think they can be seen to be part of a coherent whole. I also think, even for those who want to throw out certain letters because they find them too problematic in developing a “pauline theology” don’t quite rid themselves of the real issue they have. Great, you’ve successfully argued why 1 timothy wasn’t writted by Paul…but it is still a part of the cannon. What do you do with THAT? 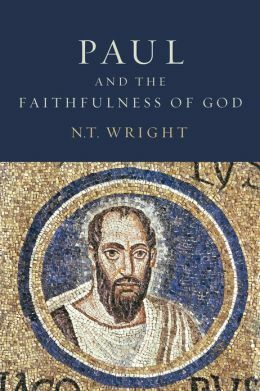 I think that leads me to a sort of agnosticism towards what Paul did or didn’t write because liturgically and ethically these texts that I take real issue with are still a part of a larger library of texts that I faithfully consider to be authoritative. I take the same sort of stance with source criticism as well. To the question “Which Jesus are you talking about?” I am compelled to respond, “The one I worship in Mass every day. This is excellent. I have always felt the arguments against Pauline authorship are weak. Perhaps I’m naive, but I have more confidence in the ability of the early Church to discern these matters than modern scholarship two millennia removed. Reblogged this on Christian Origins. Based on that brief passage in 1 Corinthians, it seems to me that the apostle Paul employed various styles, approaches, and methods for preaching the gospel during his missionary journeys. I think this serves as a model for all present and future ministers, evangelists, and laypersons to think through the manner of their gospel witness with respect to the audience within their sphere of influence.